This mother followed a doctor’s advice to evacuate from Tokyo due to the ill health of her daughter following the Fukushima Daiichi nuclear disaster. The doctor told her that 9 out of ten of his child patients in metropolitan Tokyo had reduced white blood cell counts due to exposure to radioactivity and that if they moved away some of them might recover. Many other families have evacuated from Tokyo but this has not been covered by the press. She speaks in English with an English transcription below the Japanese transcription. “I am standing here to tell you that the Fukushima nuclear catastrophe is not over. I evacuated to Kansai three years after the Fukushima nuclear power plant accident. Where do you think I evacuated from? I evacuated from Tokyo. Do you know that Tokyo has serious radioactive contamination？ Tens of millions of people in East Japan live with radioactive contamination now. My daughter was 5 years old at the time of the accident She was a cheerful and active girl. But after one year since the accident, her health conditions became bad and she was troubled by strange symptoms. She told me, “Mommy, I feel so bad, I have no power, My hands hurt, my legs hurt, my body hurts！” In fact, my daughter became so sick that she could not live a normal life at all. At that time I met a doctor who was working with the issue of radiation exposure in the metropolitan area. He said, if sick children are moved to the west away from contaminated eastern Japan, some of them might recover health. According to his examinations after the accident, the number of white blood cells of children living in the metropolitan area was decreasing. And he added that neutrophils among white blood cells were particularly badly decreasing. And as we found out later, our two children also had the same condition. Today, the doctor is saying that for every ten children in Tokyo, nine of them have below standard numbers of neutrophils. When I consulted the doctor about my daughter, he clearly stated that she was affected by the radiation exposure. In any case, I tried to move my sick daughter out of Tokyo. Whenever we stayed in a place where there was no radioactive contamination, she became very well. But when we returned to Tokyo, she became sick again. We did not have the option to stay in Tokyo, we just fled from Tokyo and came here. Living in East Japan means living with many radioactive materials, and it is not a place where people can live in good health. So, as evacuees from eastern Japan, we are calling for evacuation to West Japan. Our existence here is not broadcasted on the radio nor published in newspapers. So, I am telling you about it now. My daughter wrote this , It says she wants to stay here with her friends forever. She is very afraid that nuclear power plants now get restarted and may have another accident. If that happens, she will have to move away from here again. If another nuclear accident happens, she knows that she can not live in this country anymore. And accidents are not the only ones that threaten her. This is a basic issue but after the accident, our government has not confined radioactive materials to one place. On the contrary, our government has a policy of diluting toxic radioactive waste by mixing it with water, cement or other materials, and making it look harmless. I hope that my daughter can live in her beloved country where she was born and raised. Please try to know what is going on in Japan now. I am writing to confirm this appeal by Yoko Shimozawa. A few years ago, I read about the doctor moved from Tokyo after he found that so many children who came to his clinic were ill. The doctor knew that radiation caused those ellness. The doctor worried that his own cildren would be ill. Althoug the clinic was opened by his father, the doctor closed it and moved to West Japan. I am a translator especially on nuclear issue. I also read about issues of radioactivity, translate them and spread. Everything Shiozawa writes are very true facts. 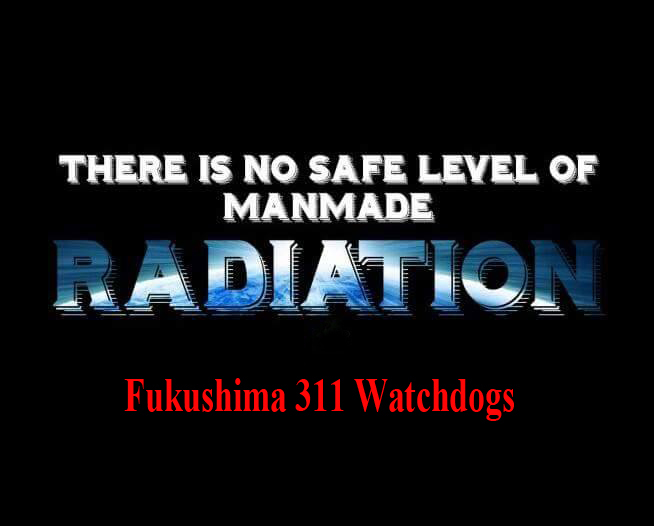 Japanese government does not seem to care about PEOPLE after Fukushima Accident. It cares about electric power company. Thank you Junko Abe for your additional testimony. It corroborates well the testimonies of the doctor and of Yoko Shimozawa. Reblogged this on 20 millisieverts per year. Shocking, impossible to relocate Tokyo! Hope this isn’t true!